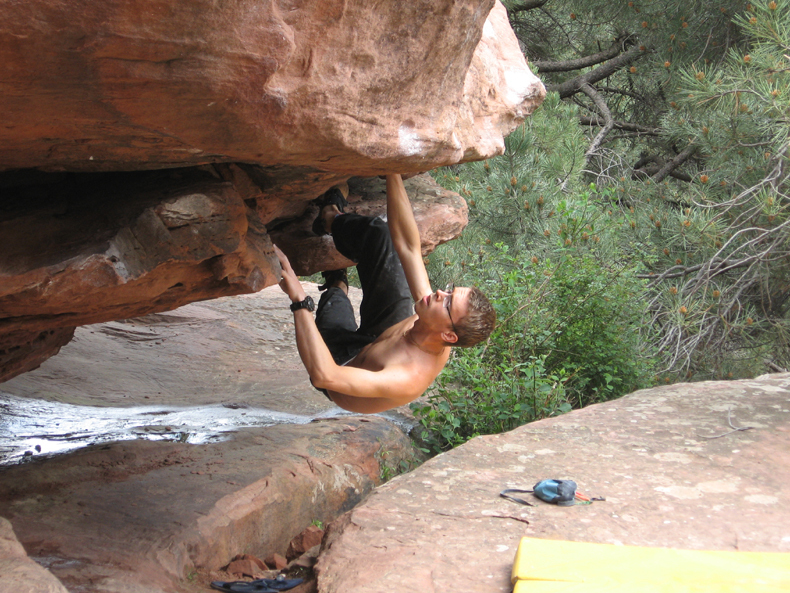 A climbing partner of mine made a trip to Albarracin in October 2007 and was all praise for this fairly new bouldering area. His description was of a magical forest with huge, red boulders with giant roofs, which offered hundreds of problems and yet still had near endless potential. So instead of visiting one of the usual bouldering haunts this Spring, I decided to give this area a try. So is this Spain’s version of Fontainebleau? Nestled in the Southern most region of the autonomous state of Aragon, the Sierra de Albarracin is a unique combination of winding valleys and jutting peaks, seamlessly intertwined with the Sierra de Cuenca. The town itself, situated at 1’200m, is a magnet for tourists and has a rich history, including being an Islamic state and afterwards a Christian kingdom. This is reflected in the remaining castle walls and towers that line the hills just above the streets. The architecture of the town is charming and it offers a number of bars, restaurants, and hotels for relaxing during rest days. There is a post office and also a number of corner shops that offer limited supplies. 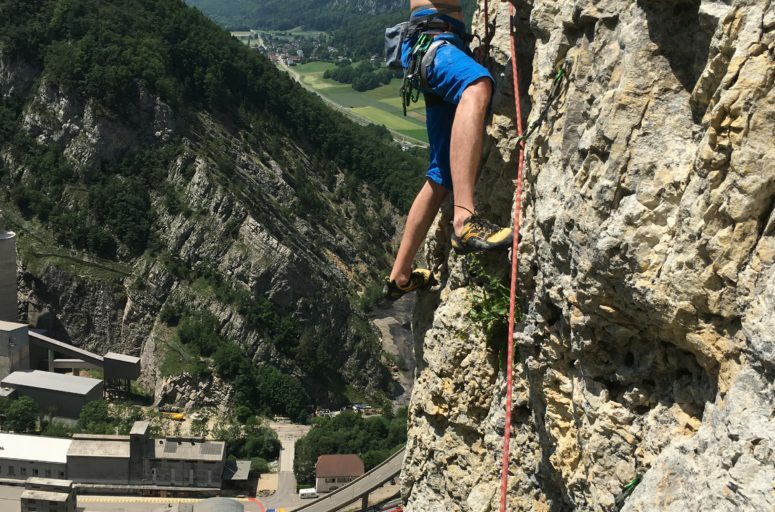 Make sure to pop down into town and have a drink at the Molino del Gato, which opens at six (except on Wednesdays) and is often frequented by climbers. The town is unique in that it is placed in a very remote part of the state, yet still has good transport links and can easily reached through the big cities. Low cost carriers fly to Madrid, Zaragoza and Valencia, and from these three cities one can get to Albarracin in around 3-4 hours by car. It’s best to aim for the capital of the region, Teruel, and from there follow the signs for another 40km to the town. Teruel itself has a number of supermarkets, and as I’ve heard, also a handful of historic sites worth visiting. 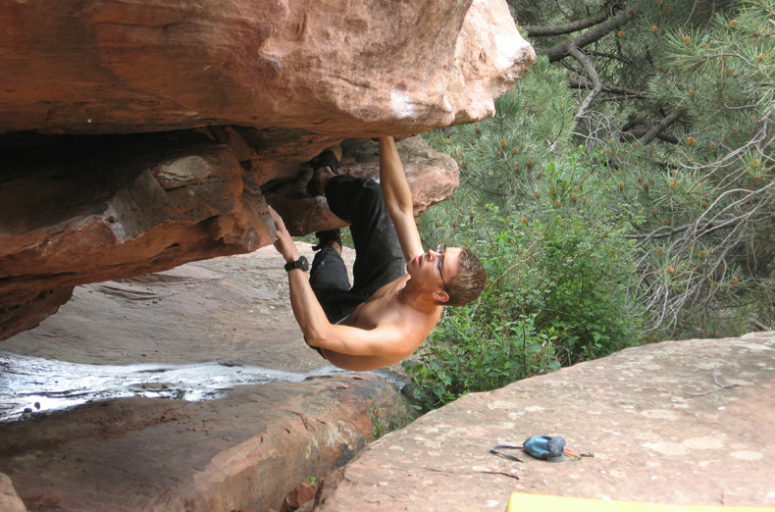 The bouldering area can be accessed by driving over the bridge in the middle of Albarracin and following the road until it splits to the right and winds its way up the valley. There are two main parking areas, and the second one even has partly sheltered parking slots. A number of people brought along tarps which they fastened above the wooden beams of the parking lots to create shelter from the rain. Some even used tents, but it should be pointed out that this is forbidden, and the mountain police do pass by to check. The forest is split into a number of sectors each with its own assortment of bouldering problems. According to the online topograph there are currently 10 in total. Sector Cabrerizo is just along the road after the first parking area, and has a handful of good problems, but isn’t well visited, meaning many of the boulders are hard to find. I can definitely recommend the Muro de Piedra rock which contains the best problems of the sector and a very nice roof. Sector Parking is just next to the second parking spot and has a number of easy problems. However the area is not that great as there is a lot of rubbish and waste lying around. But since you only need to walk about a minute to the first problems, it is worth checking out. I didn’t manage to find Sector Sol and Sector Masia, but a friend said they contained a variety of good problems especially in the upper 7’s. Sector Sol is very exposed, meaning it dries quickly when the sun is out, or when there are strong winds. I also did not visit Sector Tierra Media, but I heard mixed opinions on it. As there is no topograph for the sector, finding the area is difficult (40 min walk), let alone the problems themselves. The two best sectors for me were Sector Arrastradero and Techos. Arrastradero has a huge variety of problems, both easy and hard, and contains some of the best test-pieces of the forest. There are a number of slab problems, as well as very physical roofs including some hard mantels. 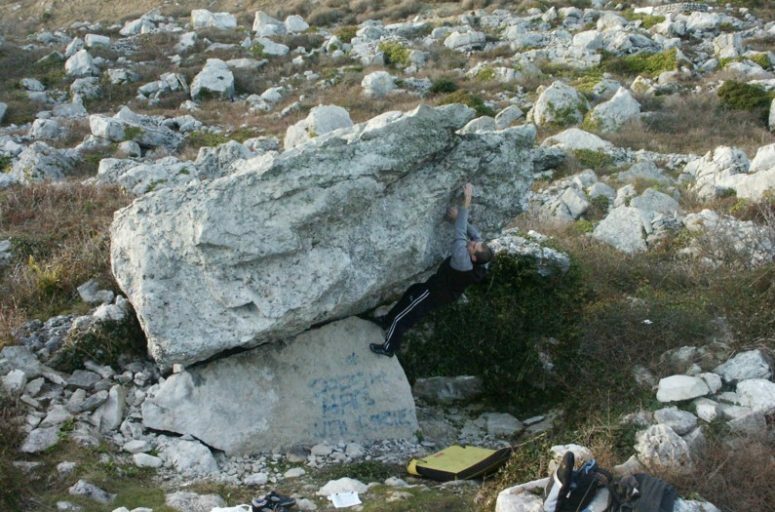 Check out boulder number 23, El Varano (8a), which is a stunning line along a huge nose. Sectore Techos (roofs in Spanish) contains some of the biggest roofs I’ve ever seen. The amount of quality lines here is staggering, including some massive high-balls. However, the rock is prone to seepage and does not dry as quickly as other sectors when there is rainfall. If you’ve trained a lot indoors, this place will be the ultimate playground for you. Since 2007 the Sectors Madriles, Psikokiller and Valle de la Madera are off limits during January through August due to bird nesting, so we did not climb in these areas, but they are said to have some good routes. So as a whole, how does the area hold up? Quite good in my opinion. What there is at the moment provides some excellent climbing with perfect rock conditions. You’ll have to do a bit of exploring though as many of the problems are not featured in the topograph. While the potential here is truly endless (there are thousands of rocks in the forest), there a very few marked problems in the lower grades (4-5), and you’ll have to brush things clear yourself to find routes to warm up on. There are a lot of problems weighing in at 6a to 6c, and also a good variety throughout the 7’s. Be wary of the brittle sandstone on some problems. There are a lot of routes with loose holds, and I would not trust some of the wafer thin flakes. The forest itself is beautiful and the surroundings could hardly be better for a vacation. 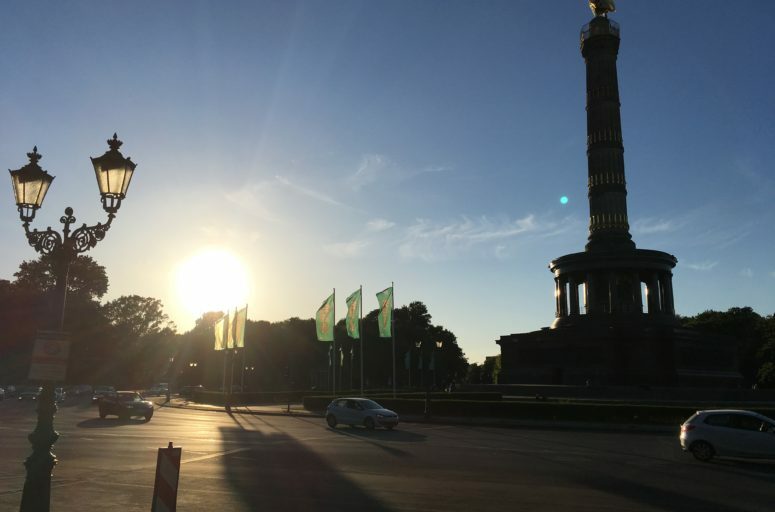 My guess is that as the area becomes more famous, the development of the sectors will pick up. A proper topograph would certainly help make the area more appealing to the casual climber. 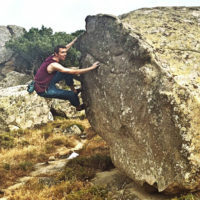 As it stands Albarracin offers a truly different experience to places like Fontainebleau and Annot, with its own unique brand of red sandstone bouldering mixed with Spanish flair. While I find the title of “Spain’s Fontainebleau” slightly exaggerated, there is no denying the charm of the area. I am positive that, with the right attention, it will become, if not already, Spain’s premier destination for bouldering aficionados.